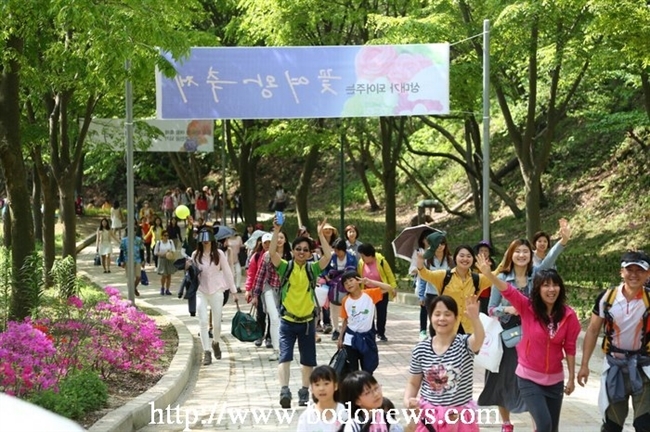 [News Wave] The Flower Queen Festival organized by the Christian Gospel Mission. Let’s give glory with joy and thanksgiving. An exhibition of proverbs by President Jung Myeong Seok, a comparison of life to flowers. 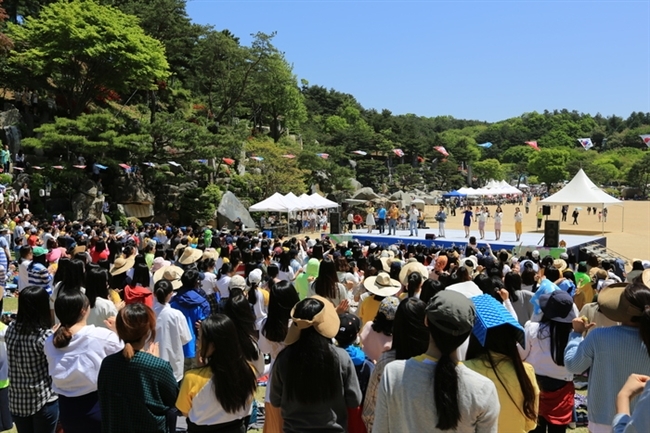 The opening ceremony for the Flower Queen Festival, organized by the president of the Christian Gospel Mission (CGM), was held on May 2, 2015, in the Natural Temple in Jinsan, in the province of Choognam. The festival this year will run until May 10, 2015. The fabulous Flower Queen Festival opened with a display of videos, orchestral performances and a range of other performances. The month of May is the queen of all seasons! Throughout the festival, the Natural Temple was like a fantastic backdrop, painted with flowers that have blossomed. Most of all, the people--that is, the most beautiful flowers, the human flowers--were the center of the festival. They enjoyed how magnificent nature was and gave glory with joy and thanksgiving. Naturally, the excitement of the festival intensified. The highlight of the Flower Queen Festival was the King Cherry Blossom Woods, located behind the Holy Son’s House of Love. There was a designated zone for people to take pictures in the flower garden, so people went there to take pictures to commemorate the festival. Since it is said that a loaf of bread is better than the song of many birds, the visitors were treated to a free lunch by the headquarters of CGM. As it turned out, there was a long waiting line. The exhibition of proverbs was about the value of life and the value of receiving salvation, of which’s value of believing in and loving God extends to the eternal world. Such proverbs attracted the attention of the visitors. During the third part of the event, a soccer tournament was held on six soccer courts. CGM has been holding the Flower Festival every spring of every year. The Flower Festival is an event in which people from Korea and all over the world come together to enjoy Heaven’s gifts in a place with fresh air and beautiful surroundings, and give glory with performances, praise and sports. One member received a lot of attention during the Flower Queen Festival this year. He put to practice one of the many proverbs by President Jung Myeong Seok, and as a result brought about a great change in his life. 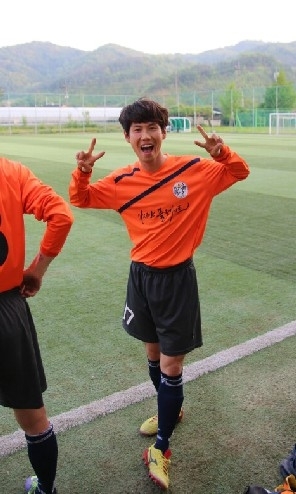 Lee Won-young, a 32-year-old freestyle soccer player, was the hero of the event. Before the opening ceremony of the Flower Festival began, he performed on stage a variety of difficult tricks with a soccer ball. He was a contestant on the talent show, Star King. His nickname on the show was the magnetic forehead king. His performance involved juggling, and by challenging himself to the limits of what a human being is capable of, he became a hot topic.